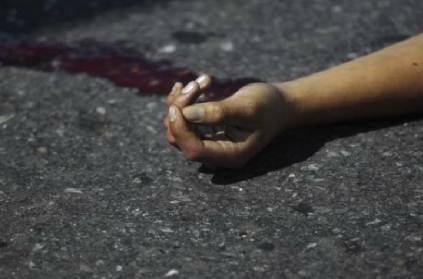 This gruesome incident happened in punjab's Mohali, where a semi-naked body of a man with smashed face was found in a road-side park. Police have found the body and the face was damaged badly to conceal the identity of the dead victim. The incident happened in Sector 48 (c) of Mohali. According to a news report in Dainik Bhaskar, the body was found lying in a roadside park. On seeing the body, a passerby reported the matter to the Mohali Police Control Room (PCR). Soon, police reached the spot and the body was shifted to mortuary of a local hospital. Police are checking whether any missing person report is filed in the area. The investigation is on. 7-year-old girl abducted, raped, killed, found with 12 broken bones: UP Horror! ‘தினமும் நைட்ல டிவி-மூவிஸ்..செல்போன்-வீடியோஸ்’.. மனைவியின் செயலால் ஆத்திரத்தில் கணவர் எடுத்த முடிவு! ‘பெண்ணின் நகத்தில் இருந்த ரத்தம்’..‘இரட்டை கொலையில் பிடிப்பட்ட புதுமாப்பிள்ளை’.. வெளியான பல திடுக்கிடும் தகவல்கள்! இளைஞர் துண்டுத் துண்டாக வெட்டிப் படுகொலை.. ஈரோட்டில் பீகார் தம்பதி கைது..
தடாலடி பிரேக்.. பெற்றோர் கண்முன்னே.. தூக்கி வீசப்பட்ட குழந்தை! This page contains news relating to various facts and events. The views are generally about current affiars and general topics in diversified areas such as political, international, national, and regional issues, sports, health, travel, lifestyle, technology and business. People having similar interets on the above topics will find this page useful. Shocking Semi-naked body found with face smashed | India News.